100% new high quality, if you have any qustions, please feel free to contact us, have a nice life! 1. Switching power supply attention order. Normally, when we turn on the projector, you should turn on the power first, and then press and hold the LAMP indicator in the projector\'s control panel until the green light does not blink. Shutdown can not directly cut off the power, but should first hold down the LAMP indicator until the green light does not flash, the projector cooling fan stops rotating, and finally cut off the power. So the right switch the projector\'s power supply on the life of the lamp and the projector\'s internal parts of the life of a great impact. 2. The switching interval should be around 5 minutes. Because the projector\'s power supply using a proportional pulse width modulation method of the mains buck and voltage regulator, steady power processing, and in dealing with these links, the projector power supply using the power switch and the transformer will work in the higher Of the frequency, the switch in the frequent switching process will naturally appear a considerable loss of the switch, these losses will be transferred into the heat emitted out, so that the temperature inside the projector, plus the light bulb itself issued Heat gathered in the projector inside the small space, it will be easy to make the bulb explosion phenomenon. In addition, frequent switching power supply, but also on the projection lamp to produce a great impact on the current, the projection lamp will be very easy to damage. In order to avoid damage to these bulbs, we try not to switch the projector frequently, but also remember that after turning off the projector if you want to reboot, you must wait patient for about 5 minutes. 3. Don\'t work for more than four hours each time. If the projector lamp for a long time to work, the projector\'s internal imaging system may emit a lot of heat, these heat will lead to the projector inside the rapid increase in temperature, because the projector lamp wall quartz under high temperature conditions will produce devitrification Phenomenon, resulting in white spots, so a lot of resistance to stop the light penetration, so that the local area of the abnormal temperature rise, and thus cause further expansion of the devitrified area, so that the brightness of the rapid decline, and is likely to lead to bulb explosion. Therefore, as far as possible we must pay attention to let the projector every time the work can not last more than four hours. Shipping : We will ship it within 1-3 workdays after we received the order . 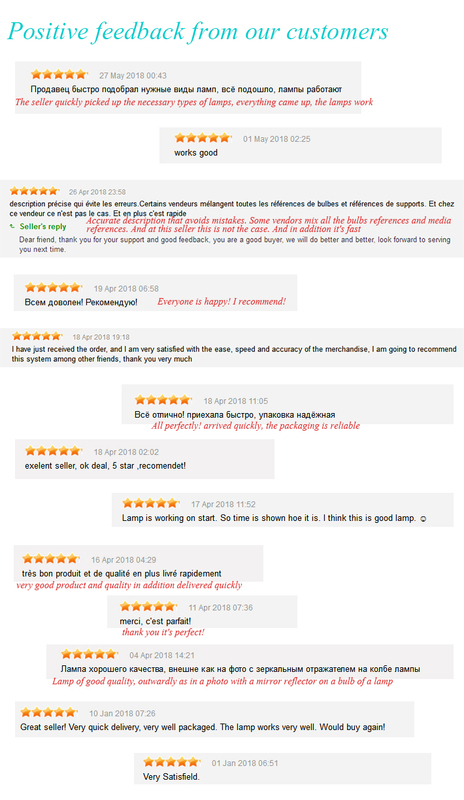 Aliexpress : It may need some customs charge if the order amount is big , it depends on customs of your country. E-packet: It may need longer time than DHL / UPS , and the tracking imformation will have belated. To Russian : Your full name is needed . including first name+middle name+last name , DHL ,UPS ,FEDEX ,TNT are not available for Russian , if you want fast delivery please choose E-EMS . To Brail : Please kindly tell us your CPF NO, of you choose DHL,UPS,TNT,FEDEX . For any reasons return the product ,please contact us in your first time before you put the dispute or give us a negatie feedback . 2. 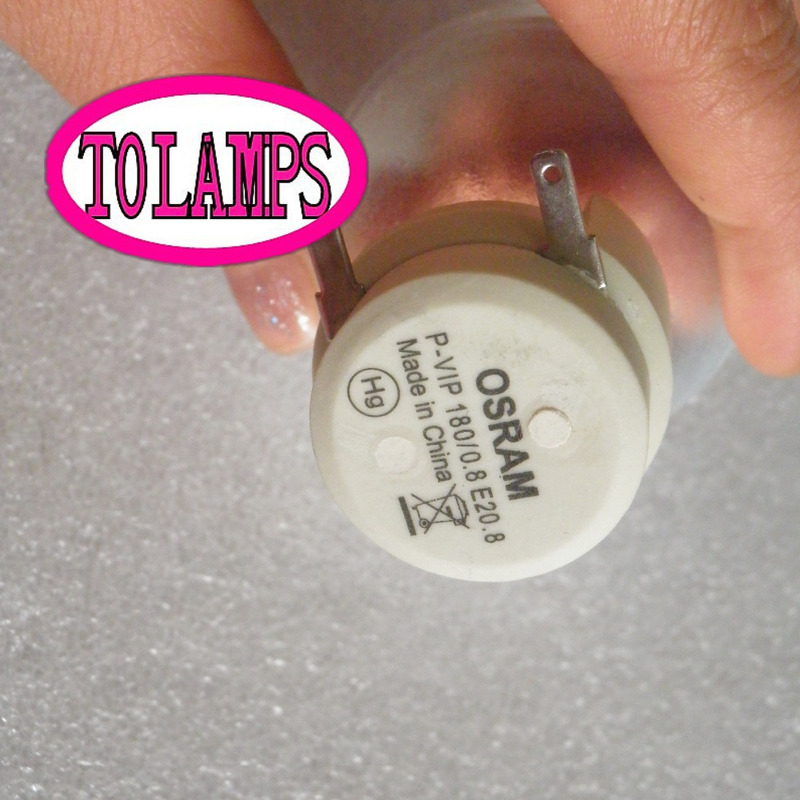 The goods is already out of guarantee expiration, which is 120 days from buyer get the lamp.